... and I hope I can find many more ways to use them in my creations. 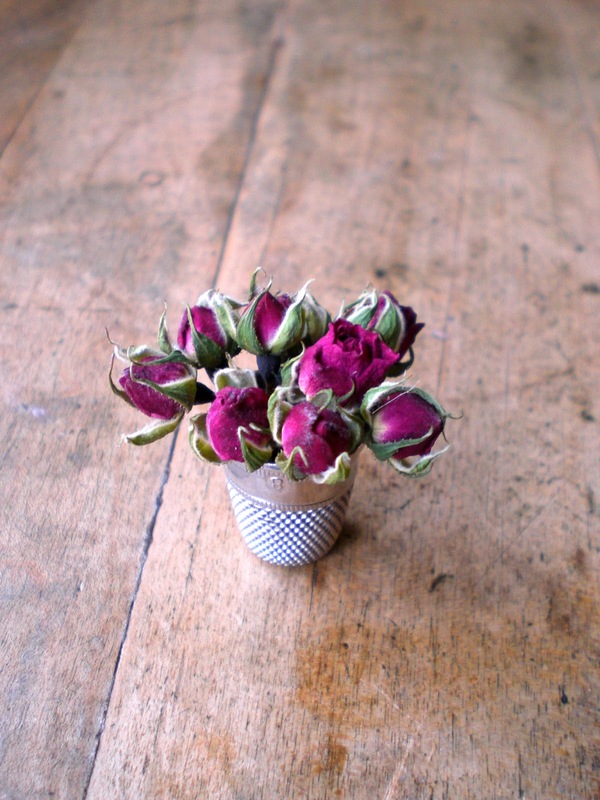 It is so very neat when you can use an old thimble as a vase ~ don't you agree?! Wishing you many of life's little pretties! I hope you are well and life is treating you kind my dear friend. I have been trying to do that with my miniature rose bushes for years! Do you have a particular variety of rose bush? I have some that dry a deep intense red and another that is a very pale pink, and another that is white. I have had them over 20 years, also. They were even transplanted from our first home to this one. The white one I purchased with a gift certificate from a friend as a house warming gift. Mine have had years where I was sure they were going to die, but they have always come out of it. I sing to them...maybe that was why they almost died?! LOL I really enjoy them and I can see that you enjoy them too. How does it work out that you only harvest them twice a year, I would be interested to hear about that! Love your blog! and they are so pretty! 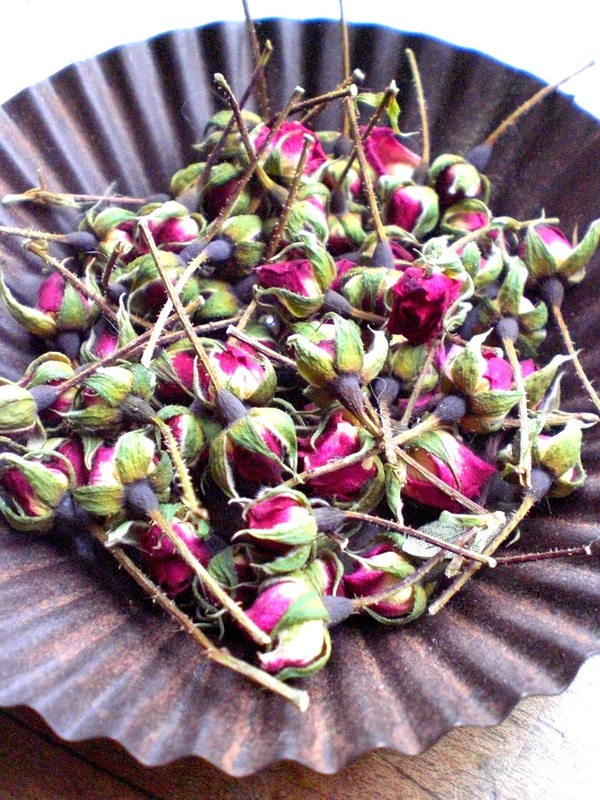 I love those little roses too and have never thought to pick the rosebuds but I will now. I usually try to pick teh wild roses; there are so many along the farms near where we live but the timing is short and I often miss it - this is such a wonderful idea. And I also love the idea of a thimble for a vase! I am gathering my last few today also...I had to go look to see what I had lefty after your post! oh my! those really are tiny to be able to fit inside a thimble! Way too cute!!! !